Carl Zeiss has taken an unexpected leap into the virtual reality market with a $99 headset that teams up with your smartphone. The VR One is a clear Samsung Gear VR competitor, only you don't need a Samsung smartphone to use it, and it's less than half the price. 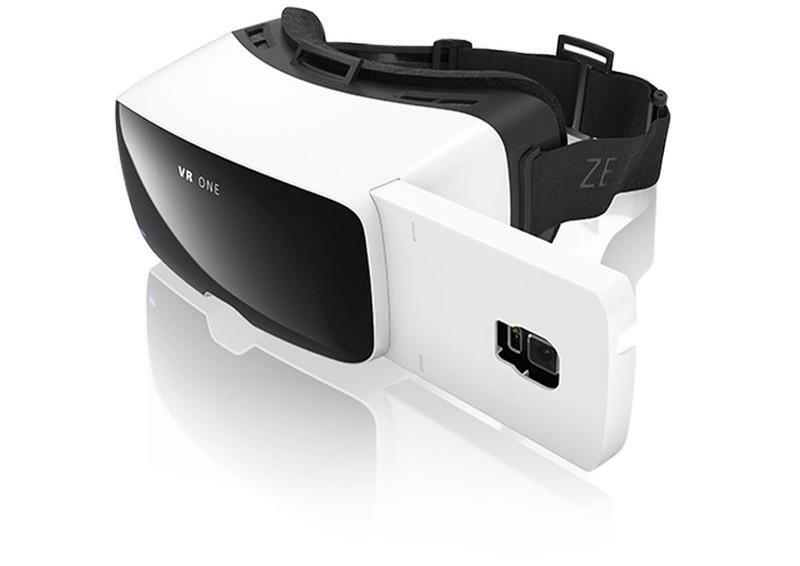 Available to pre-order now, the VR One is compatible with any smartphone — running either Android or iOS — with a display size measuring between 4.7 and 5.2 inches diagonally. That rules out larger phablets like the Galaxy Note 4 and the iPhone 6 Plus, but at least you're not restricted to just one device like you are with the Gear VR (at least for now). Alongside the VR One itself, you'll need a "tray" which your smartphone will slot into before it slides into the headset's frame. Each headset will come with one tray included, but you can buy others at $10 apiece. The first batch of trays will be designed for the Galaxy S5 and the iPhone 6, but Carl Zeiss promises more for other handsets later on. The German company is working on a number of apps that will be used alongside the device, including one that will allow you to watch 3D movies, and another that will provide Street View with augmented reality. But the VR One is built on an open-source platform, and Carl Zeiss is providing developers with an SDK that will allow them to build their own software. The first batch of VR One pre-orders will ship in time for Christmas, Carl Zeiss says, with a wider release scheduled for next year. You can order yours now via the source link below.